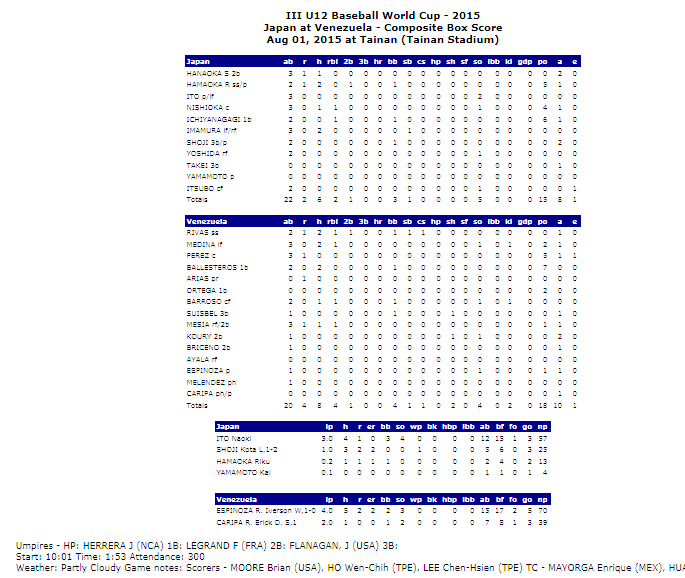 TAINAN, Taiwan – The Chinese Taipei and United States U-12 National Teams will meet Sunday in the world championship finale of the III 2015 WBSC U-12 Baseball World Cup 2015. A sell-out crowd is expected at the 11,000-seat Tainan Municipal Stadium for the final of baseball’s U-12 World Championship. Taiwan’s premier sports broadcaster Videoland has been awarded the national broadcasting rights of the 2015 WBSC U-12 Baseball World Cup and is leading the full HD production of the event and has partnered with Elta Sport HD for online delivery. Nine cameras placed around Tainan Municipal Stadium will provide coverage of all the angles, excitement and emotions of Sunday’s crowning of the U-12 World Champions. The live telecast (18:30 UTC+8) of the 2015 WBSC U-12 Baseball World Cup final will also be streamed live and be available for free to online and mobile audiences worldwide. 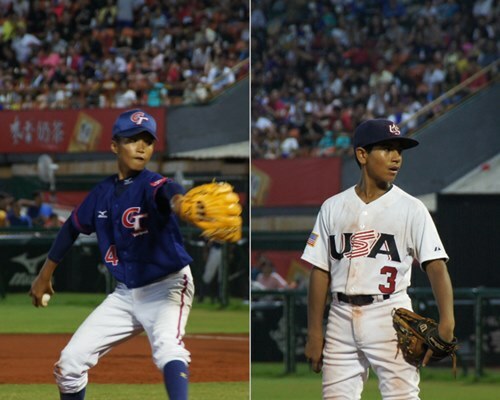 With an 11-6 victory Friday night over the U.S., Chinese Taipei was guaranteed to finish atop the Super Group standings to qualify and play Sunday’s U-12 World Cup final as the “home team”. In the final day of the Super Group stage Saturday, the U.S. bounced back with a 6-5 victory over Cuba to earn the U.S. a rematch with Chinese Taipei in the winner-take-all world championship match Sunday, while Nicaragua handed Chinese Taipei its only defeat, 2-1. In Sunday’s bronze medal match, Nicaragua will take on Cuba and will be the home team. The 2015 U-12 Baseball World Cup Opened on 24 July with 12 qualified nations vying for the U-12 Baseball World Cup title: World No. 1 Japan, defending U-12 world champions No. 2 United States, No. 3 Cuba, Asian champions No. 4 Chinese Taipei, No. 8 South Korea, No. 10 Venezuela, No. 12 Mexico, No. 14 Australia, No. 15 Brazil, Americas champions No. 16 Nicaragua, No. 28 France, and European champions No. 32 Russia. The 2015 WBSC U-12 Baseball World Cup closing ceremonies are scheduled for 21:30.